Colorful and flavorful snow cones are sure to draw customers to your concession stand or carnival cart. 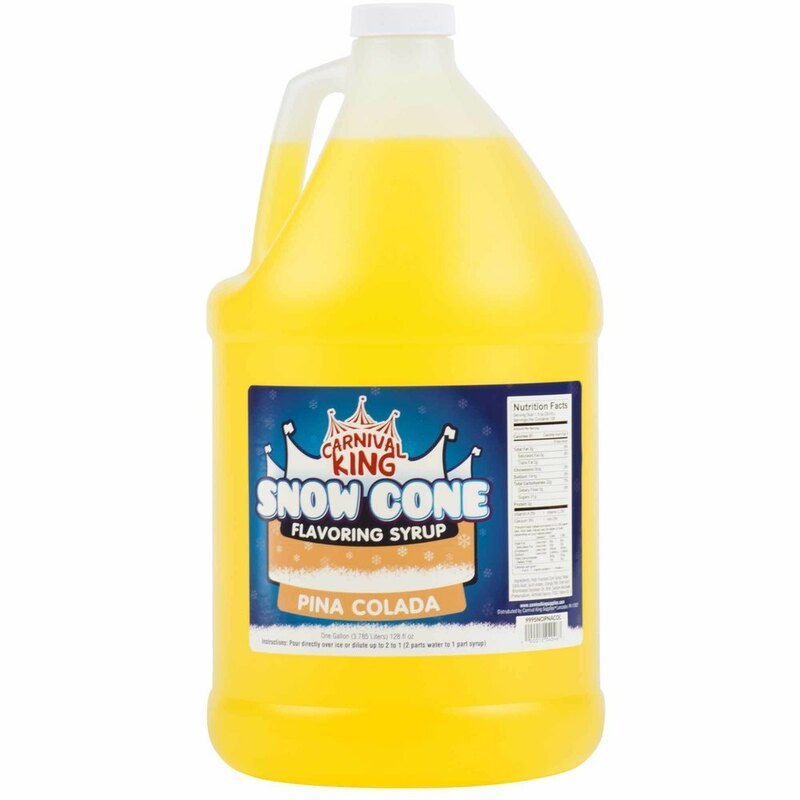 Keep up with the demand for these refreshing frozen treats with this Carnival King 1 gallon pina colada snow cone syrup! Carnival King offers great flavors at a great value, and this sweet pina colada flavor enhances the appearance, color, and taste of your shaved ice desserts. Besides traditional snow cones, you can use this syrup with ice and a scoop of marshmallow topping to create a classic snowball. To use, simply combine 2 parts water to 1 part syrup, or pour this syrup directly over shaved ice for a slightly stronger taste. Use this flavor by itself or pour several different flavors onto your snow cone for a whimsical look, and the possibilities are endless! Perfect for ice cream shops, fairs, stadiums, or other special events, this Carnival King snow cone syrup helps you quickly and easily prepare your customers' favorite cold summertime treats.